The forest of trees? What kind of crappy name is this? All these lands were discovered by the explorer Kaptenkurk not a hundred years ago... He named all the places around. He went through the desert with the rocky towers... and named it the forest of rocks. 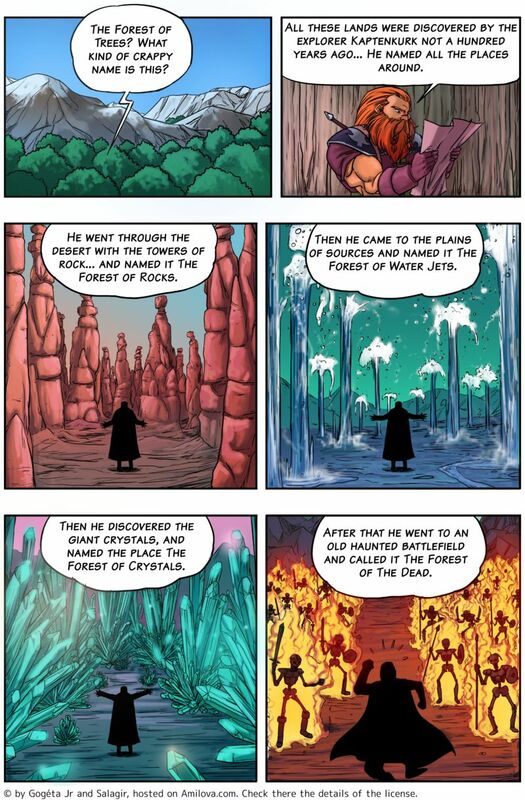 Then he came to the plains of sources and named it the forest of water jets. Then he discovered giant crystals, and named the place forest of crystals. After he went on an old plain haunted due to a war, he called it the forest of the deads. If there is a set, it is a forest.